The Leading Economic Indicators for June 2014 highlights trends in Consumer Price Indices (CPI) and inflation, interest rates, exchange rates, international trade, agriculture, energy, manufacturing, building and construction, tourism and transport. Consumer Price Index (CPI) increased from 149.70 points in May 2014 to 149.91 points in June 2014. 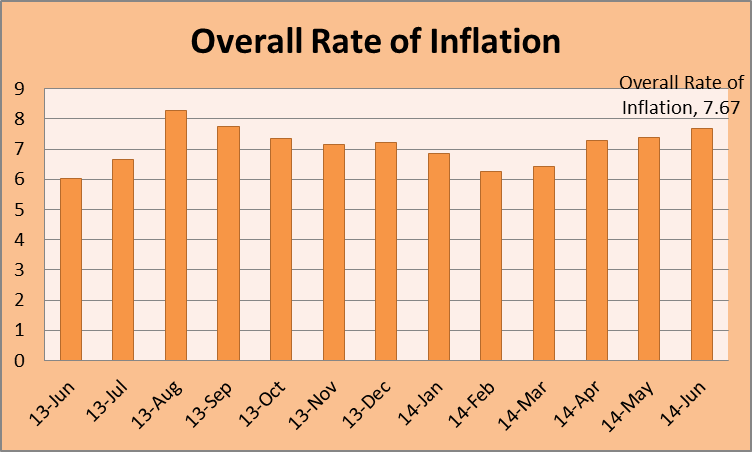 The overall rate of inflation went up from 7.30 per cent to 7.39 per cent during the same period. During the month of June, the Kenyan Shilling appreciated against the Euro, South African Rand, Tanzanian and Ugandan Shilling while it depreciated against the US Dollar, Sterling Pound and the Japanese Yen shilling. 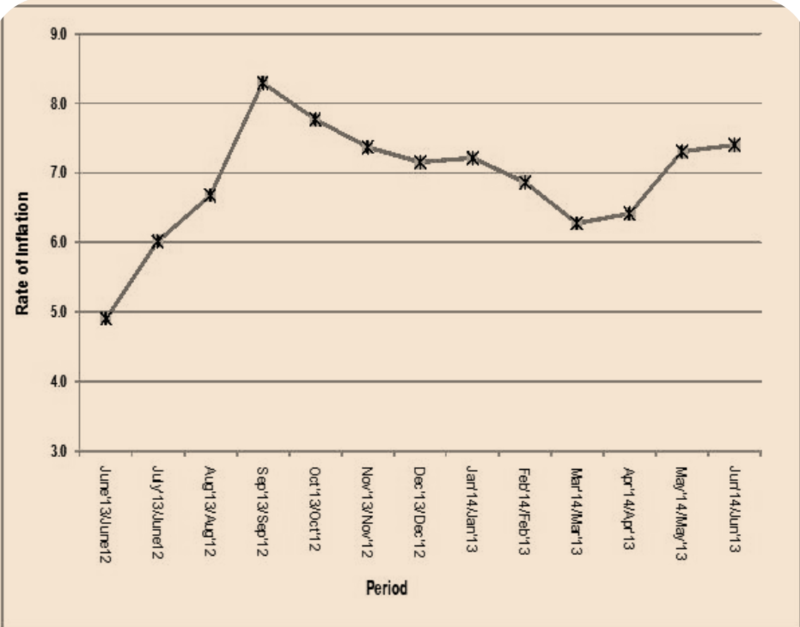 Kenya National Bureau of Statistics hereby releases Consumer Price Indices (CPI) and inflation rates for July 2014. These numbers have been generated using data collected during the second and third weeks of the month under review. The prices were obtained from selected retail outlets in 25 data collection zones located in 13 urban centers.